A powerful stain remover and surface cleaner, made with plant based surfactants which work to effectively remove tough stains. 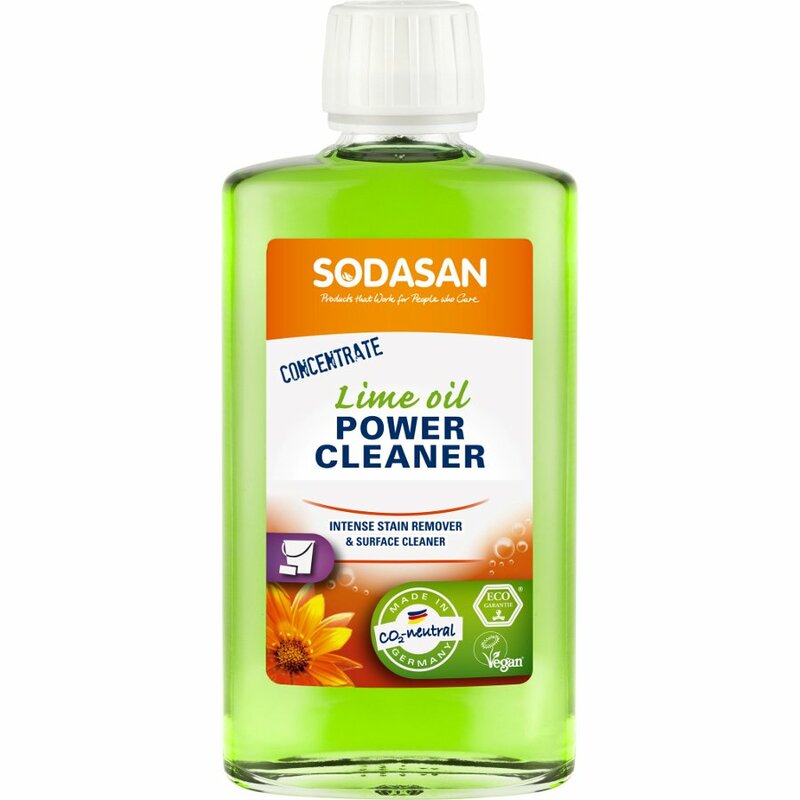 The eco-friendly lime cleaner from Sodasan is a concentrated formula free from synthetic dyes or preservatives, palm oil, parabens and animal testing, it is also suitable for vegans. This lime oil power cleaner works to remove make-up, pen ink, chewing gum, fats, resins and adhesive residues from clothing, upholstery, carpets and all surfaces that can be wiped. Do not use on blood stains.